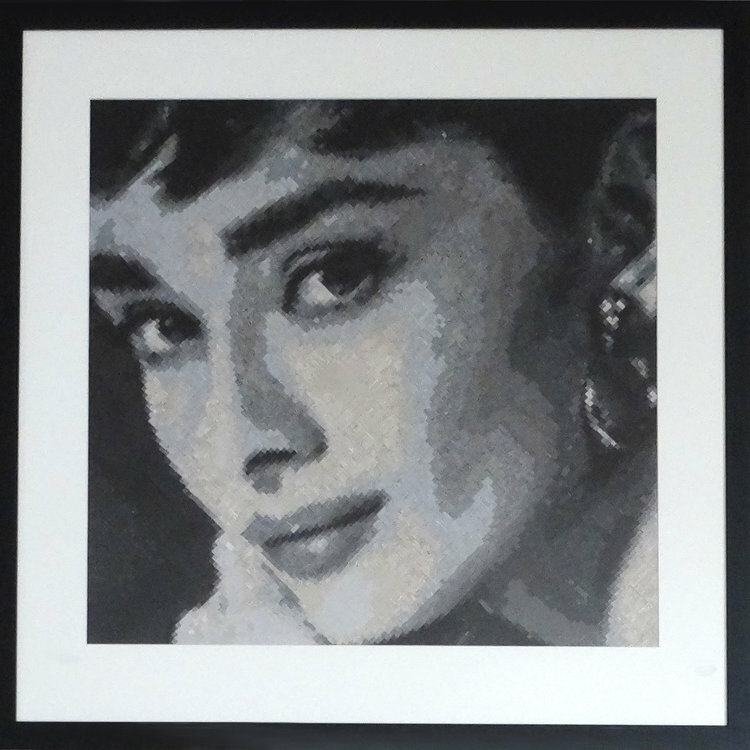 Audrey | Original Sustainable Textile Pixel Artwork | 84cm sq | Professionally framed with 3cm black veneer and white matt board. 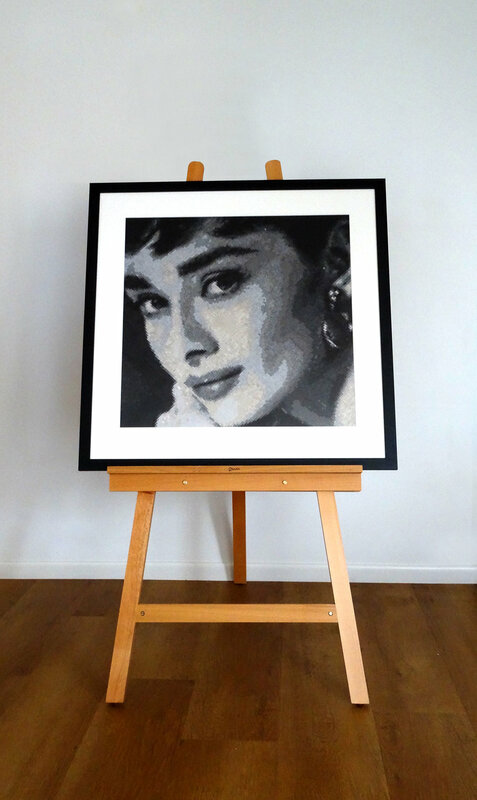 This Artwork has been crafted from around 10,000 sustainable fabric tiles. The 31 fabrics include, Silk Dupion, Cotton, Denim, up-cycled Satin, Up-cycled Polyester, Organic Cotton Duck. I Manually cut all of the fabric pieces by hand, smallest of which is just 5mm, then transferred each piece into place. This is a long process but the end result is captivating from afar and pleasurably tactile close on a closer view. Please contact me for more information on this piece or to arrange a viewing. Sign up with your email address to receive new artwork updates and exhibition event notifications. I respect your privacy and will not litter your mailbox with huge amounts of emails!